Sometimes in the paranormal field, you will hear the words "object attachment", what this means is a ghost is attached to a certain item. Most of the time a ghost attaches itself to a particular item that meant something dear to them. These items can be as simple as a picture to something like a wedding dress or doll. One of the most famous object attachment stories is of Annabelle, in reality, she was a simple Raggedy Ann doll. So you can only imagine some of the energy that can be attached to antiques and add that energy to a building that is already haunted and you get the makings of a good investigation! Which is exactly what Tucson Ghost Society had at the 22nd Antique Mall. At the end of this hall is where some employees and customers will see an apparition. The building itself is already filled with their own permanent ghost but add the object attachment and you get "visitors" that come and go. They have seen full-bodied apparitions on the second floor, had radios turn on and turn up louder by themselves, and even had lights turn on and off. They have a log at the front counter that employees and guest can write their experiences in. It's filled with different tales and even though my team didn't write the book we sure did have our own experiences too. During the set up as I was trying to position the R.E.M. Pod in front of a camera, I had seen someone walking at the end of the hall; I yelled down to them but no one answered so I radioed into my team and they said no one was in that area of the building. Did I see the apparition that so many others had seen? Let's consider my team was the only one on the building with just 2 employees and the employees were at the front desk; well I am thinking maybe I did. As I was trying to figure out another camera in the break room with my husband Will, we all of a sudden heard music that we hadn't heard before that seemed to get louder; we tracked it down to a booth and turned it off but we swore we didn't hear it when we had gone into the break room. Again we radioed and checked and no one had messed with any radio. These were 2 things that happened before the investigation even started! Once the investigation started we had some flashlights turn on, had lights blocked out, had some equipment go off, had a cradle rock on its own, and I swear I had seen someone in a seat when I approached an area. We also received some great EVPs such as "hello", "can you hear me? ", "You wanna know me? 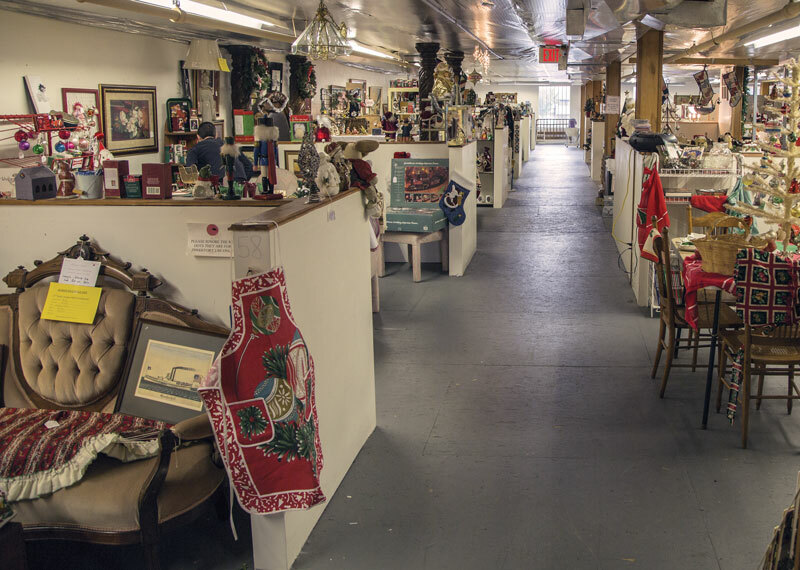 ", and "Oh my God"
To say the least, we were not disappointed with our investigation of the 22nd antique mall. We are hoping to be able to go back and see what else we can catch. Now keep in mind not all antiques will have object attachment but some may; but no matter what just remember you are never truly alone!